You need more sleep than your friends and family. You can't sleep the hours you need during the week and feel tired and unenergized throughout the day. You become moody and emotional. You lack focus and find it hard to concentrate for hours on end. When you finally get to the weekend, you sleep excessively for as much as 15 hours. If you are asking yourself, why do I need 12 hours of sleep, you are most likely what is defined as a long sleeper. In this post we look into what a long sleeper is, and what you can do about it. Long sleeper syndrome is a rare sleeping disorder affecting around 2% of people (American Sleep Association). It can be described as the body demanding excessive sleep hours often ranging between 10-12 hours. Sleeping less than this usually leaves sufferers feeling exhausted throughout the day. ​The actual quality of the sleep is normal and when able to sleep for 12 hours, people with long sleep syndrome wake up feeling refreshed. However most people are not able to sleep for such extended periods due to the demands of life. As a result, they sleep less than desired during the week and often make up for their sleep debt by sleeping 14-16 hours on weekends. 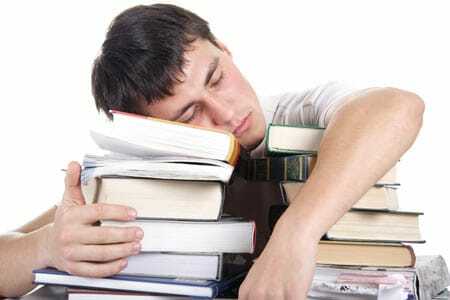 Long sleeping has a tendency to start during childhood and continues throughout your life time. The body's excessive demand for sleep makes sufferers feel like they are sleeping through life. This is not a good way to feel and can be very frustrating. Because the demands of life result in long sleepers under sleeping during the week, they often feel unrefreshed and exhausted during the day. This can result in moodiness, feeling emotional​, and can have a detrimental effect on relationships. Feeling tired all the time also leads to a lack of focus and low productivity which can affect workplace performance. In some cases long sleeping can be caused by underlying depression or some other illness. In these cases, the under lying condition must be treated. However, it is often the case that a long sleeper is simply that, a long sleeper. ​While treatment is often sought after, the bad news is that there often is none. In fact, long sleepers have very normal sleep and when they are able to sleep for the required amount are able to conduct their lives without any problems. ​The key is to work the sleep you need into your life. In many cases this simply means going to bed earlier to ensure you can sleep for the required amount, yet still be able to get up when necessary in the morning. If you find that the lack of sleep is having a serious impact on your life, and your sleep debt is continuously increasing, you may want to consider updating your sleep environment. For example, a weighted blanket might be a good start. If the lack of sleep is indeed affecting your life in a really negative way, seeing a sleep specialist may be required. If you find yourself asking, why do I need 12 hours of sleep, chances are you are feeling frustrated. You may feel as if you are sleeping your way through life. While understandably you are seeking a solution to this condition, what's important is that you recognize that long sleeping does not really have a treatment in the traditional sense. While in some extreme cases visiting a sleep specialist may be required, the most actionable remedy is to find a way to live with more sleep. We hope this answered your question: why do I need 12 hours of sleep?​ We would love to hear your opinion, so please feel free to leave a comment below. Note that we are not doctors and as such you should consider the advice of a professional if required. I’m glad I came across your website since I have had a lifelong problem with oversleeping. I am retired now, so I can afford to sleep (about 10-14 hours a day). I do not have any other sleep problems such as insomnia since I often fall sleep about 10-20 minutes after I go to bed. Then I go on sleeping often till noon!! I set two (very loud) alarm clocks to get me up around 7 AM, but I often continue to sleep through the very loud noise till noon. I can get up earlier if I have an important thing planned, but I develop a sleep deficit which, depending on the length of “sleep deprivation” can result in my sleeping the following days sometimes up to 20 hours. I have found no solution to this so far. I would appreciate any help I can get. Albert Einstein slept 12 hours a night.